Halo Downmix provides a highly creative solution for precise downmixing of feature-film or 5.1 mixes to stereo. Intuitive, visual controls for relative levels, timing, and direct vs. ambient sound balance allow uprecedented fine-tuning, delivering accurate downmixes that are no longer limited by typical in-the-box coefficients-based processes. 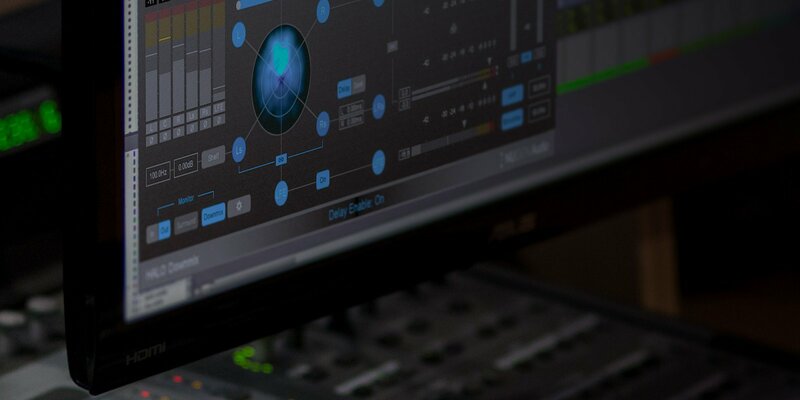 A standard downmix is usually generated by simply mixing together the surround output according to standard downmix coefficients, however, this can often lead to unsatisfactory results, particularly if legacy upmix practices have been used to generate the original surround mix. Halo Downmix can be quickly employed to mitigate these issues eg. controlling excessive diffuse sound from added artificial reverberation, or removal of delay artefacts introduced in the rear channels. Halo Downmix can be quickly deployed to produce a more controlled, coherent stereo mix. - Stereo Mix production for Television within a Surround workflow. - Rapidly producing a controlled, precise stereo downmix of a 7.1 feature film. - Generating a stereo mix from surround where no stereo recording exists. - Producing stereo interim listening mixes in a surround workflow. 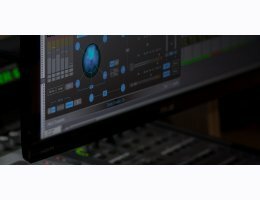 Halo Downmix can also be used in conjunction with the included Receive plug-in to enable a parallel surround/stereo workflow. This workflow allows for rapid A/B listening checks between surround and stereo downmix.